Fairytale Legends: Hansel and Gretel™ Preview! 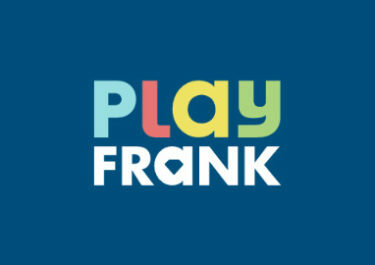 Play Hansel and Gretel™ at Casumo! The secret has been unveiled! 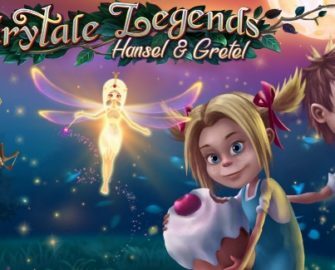 Get ready for “Hansel and Gretel™”, the second slot in Netent’s trilogy of Fairy Tale Legends creations, due for release on 24th April 2017. 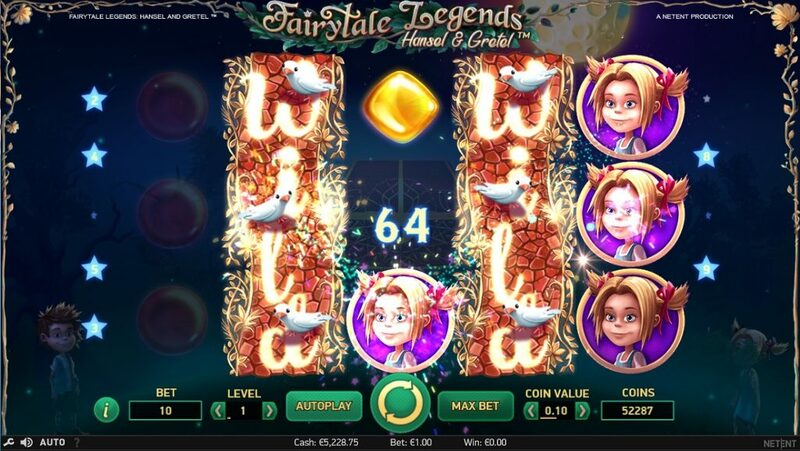 The Swedish studio stayed with Brothers Grimm for this 10-pay line game that includes Fairy Random Features, Free Spins, a Candy House Bonus Round and some new pay mechanisms that have the potential to produce mega wins. 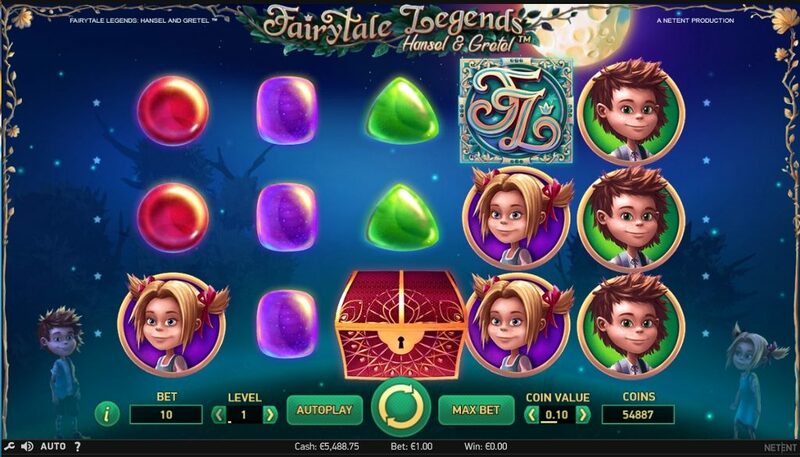 Fairytale Legends: Hansel and Gretel™ will be a 5-reel, 3-row, 10-pay line (fixed) video slot evolving around the well known Brother Grimm story about the two siblings’ journey through the forest after they been left there by their stepmother and have to fend off the bad witch. 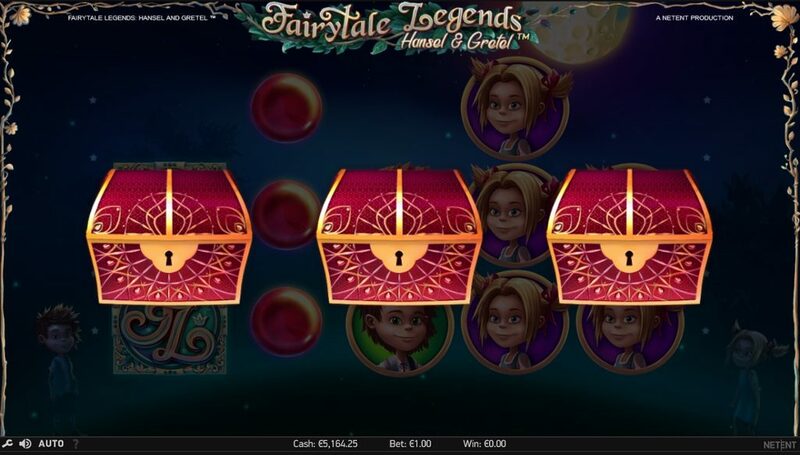 The slot is set in a game window with the dark forest in the back ground only lit up by a faint moonlight with Hansel and Gretel standing on each side. Spinning the reels will see them walking deeper into the forest on their way to find the old hag’s candy house. Bet levels and coin values range from 1 – 10 and 0.01 – 1,00 allowing for bet sizes between $0.10 – $100. Maximum pay on a single spin is 4,000 coins or 400x bet with a full screen of stacked FL symbols. One new pay mechanism that Netent has introduced on this slot are the adjacent pay symbol combinations. The wins are not paid just for left two right combinations but any adjacent 3 – 5 symbols on any pay line will pay the according coin win for 3 – 5 OAK. 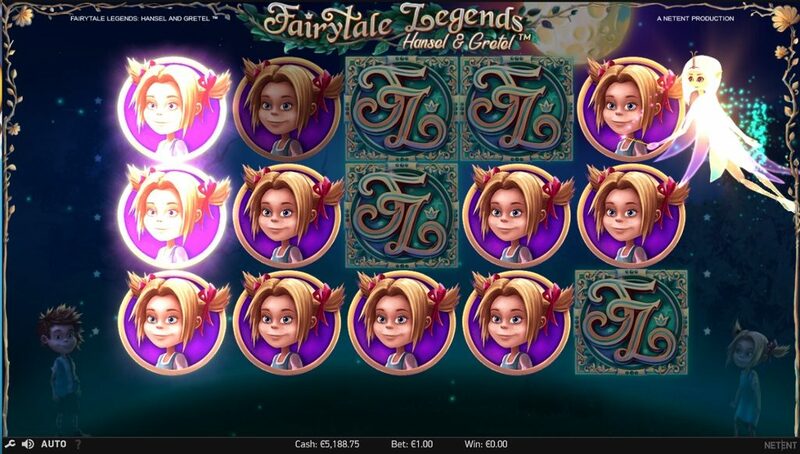 TRTP is stated with 96.71% for this medium variance slot in HTML5 format that will be available for play on desktop, mobile or tablet across all OS platforms. Pay symbols including Wilds can appear stacked covering all positions on a reel. Low pays are candy pieces in yellow, red, violet and green colors whereas high paying symbols are Hansel, Gretel and the top symbol is an artistically written FL. Wilds can be stacked and are the birds who picked up the bread crumbs Hansel scattered as markers when they where led into the forest. No scatters on this slot but bonus symbols in the form of Treasure Chests. Stacked WILD symbols can appear on reel 2 and 4 in the base game and additionally on reels 1 and 5 in the Stacked Wild Re-Spin. The Re-Spin is triggered when at least on full stack of WILDS land on either reel 2 or 4 or on both. The respective reels are held and the remaining reels spin again until no further full stacks of WILDS land on the re-spin. The win amount is paid after the last spin. The Treasure Chests, that will trigger the Bonus Selection, appear on reels 1, 3 and 5 only. Players can choose one chest to reveal one of the three possible bonus features. A random selection will be made after 7 seconds. The multipliers stay hidden while the player can select to take the average of all 3 candies or just one. The game will reveal all multipliers once the choice is made and the selected multiplier will be paid. A random cluster of 5-9 FL logo symbols are placed on reels 2 – 4 with reel 3 always being fully stacked with FL logo symbols and the reminder being placed randomly on reels 2 and 4. Since the slot pays starting from any of the reels this will guarantee at least some 3 OAK if no further FL logo symbols land on reels 1 and 5. This feature activates randomly at any time after a non-winning spin. One symbol is randomly chosen and the fairy is turning the other symbols on the screen except the FL symbol, starting from the lowest one, into the same symbol until a win is awarded. Is this an awesome sequel to Red Riding Hood? Not too sure, to be honest. 10 pay-lines, 400x bet as maximum single spin pay, Free Spins with no multiplier, a rather simple bonus game and a quite plain slot design do not provide that much suspension and awe that we expect nowadays from new slot releases. 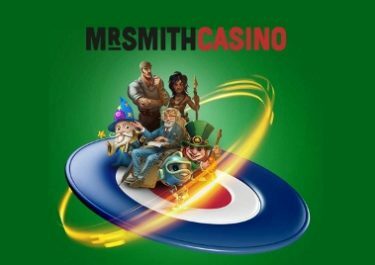 But it can be a very likeable, medium variance video slot which provides ample entertainment and frequent enough smallish wins to avoid a quick bust. Happy spinning on 24th April 2017!